The Pro Era rapper takes on two fan favorites from Kendrick Lamar's "DAMN." "If I gotta rap on someone else's beat to get your attention / Then it's something that I gotta do" raps on his new freestyle, which uses not one but two beats from Kendrick Lamar's new LP DAMN. The instrumentals in question are "ELEMENT." 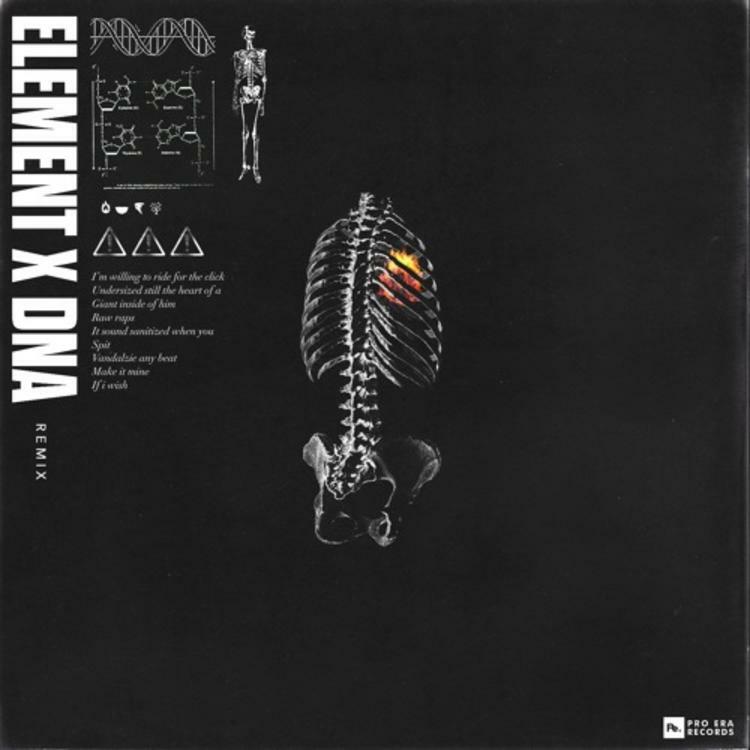 and "DNA.," which both happen to be particular favorites among Kendrick's fanbase. In other words, Caution has a lot to live up to on this freestyle, but as a technically-focused rapper, they suit him well, and he's able to bring some new flows and ideas to the table that justify his remix. The release follows his freestyle over XXXTENTACION's "Look At Me." Caution was one of a few Pro Era members who tweeted the cryptic phrase "THE G.O.D" earlier this month. Could a new project be on the way?